The always difficult relationship in the US between the defense of liberties and mere common sense faces an unusual challenge. 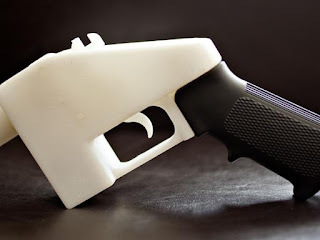 A company plans to upload plans of plastic firearms to its page, which can be materialized with a three-dimensional printer and capable of firing and killing like the others, so that anyone can freely unload them and make their pistol or rifle. Prosecutors from eight states filed a joint lawsuit Monday in federal court in Seattle demanding it be banned, which they consider a "serious threat to national security." The Texas Company, Defense Distributed, designer of the weapons, received on June 29 the Government's permission to disseminate the plans after five years of battle in the courts. 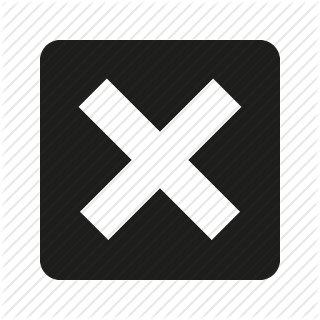 In 2013, the firm raised them to the network but the State Department, under the presidency of Barack Obama, ordered that their access be cut because it violated the law that regulates the export of arms to other countries. The administration of Donald Trump reversed the measure again giving way to Defense Distributed. This Monday, in full turmoil for the impending online publication of the material, the president wrote on Twitter that he was analyzing the question of whether or not to offer these weapons to the public and in consultation with the National Rifle Association. "I do not think it makes much sense," Trump said, although he did not add if he planned to take any action to stop the situation. A spokeswoman for the NRA said last week that the organization, the main US lobby in defense of weapons, sees it as a matter of "freedom and innovation." Bob Ferguson, the state attorney for Washington, who is leading the lawsuit, issued a statement Monday asking the government why it was giving "easy access" to these weapons to "dangerous criminals." And he warned that downloadable pistols would not be traceable because they did not carry a serial number, they would bypass metal detectors and be within reach of anyone beyond their age, mental health or criminal history. Democratic lawmakers were working Tuesday to present a proposal to "face the threat" of these weapons. Defense Distributed offers a variety of downloadable planes for guns and weapons such as the AR-15 rifle, the most used in massacres with firearms in the US, a serious and repeated problem in this country. The attorney general of Pennsylvania, one of the plaintiffs, denounced on Monday that between Saturday and Sunday, before the day announced by the company to make the plans freely available, more than a thousand downloads of plans had already been detected in his state to build an AR-15. The company maintains that its intention to publish the plans is covered by the First Amendment, which protects the right to freedom of expression. According to statements made to The Washington Post by its founder, Cody Wilson, Defense Distributed considers that the right to have weapons is not at stake, but "access to information". Wilson (1988, Arkansas) is a controversial figure in the US since his company published the plans for the Liberator printable gun in 2013. He considers himself a radical defender of the freedom of the individual and an enemy of State intervention. He is an admirer of Julian Assange, the brain of WikiLeaks, and claims that his ideas are drawn from the French postmodern philosopher Jean Baudrillard. The Southern Poverty Law Center, an organization that analyzes hate groups in the US, defines him as a product of "a kind of extreme post-libertarianism." The provocation is his seal. In 2014, he told the English newspaper The Guardian: "You ask me how I would feel if someone shot a child with a Liberator? I think I would feel bad and have that feeling of 'Oh, God, it's going to be a big circus.'" Wired magazine included Cody Wilson in 2015 and in 2017 among the five most dangerous Internet characters. The arrival of homemade weapons with a 3-D printer can considerably aggravate the problems of public violence in the world's leading power. A pistol or a machine gun of these characteristics does not present a serial number or other identifying marks, which makes them completely impossible to trace. In fact, in the US it is already allowed to build a machine gun at home, if the citizen considers it pertinent. But that takes time and knowledge. With the Wiki-Weapons, as Cody Wilson calls them, having an arsenal is within reach of anyone with a computer and a 3-D printer. The big question is the precision of these weapons. In tests conducted by the authorities to date, weapons made with 3-D printers were not very reliable, and tended to stop working after using a few cartridges. Obviously, that is irrelevant for those who receive the first shots of this type of device that literally means the democratization of firearms in the literal sense of the word and, moreover, globally, because the Internet knows no borders, something that, without a doubt, the militants of the Islamic State or of other terrorist groups will be grateful.